kidslooklikekats: Deerhunter: "Rainwater Cassette Exchange". 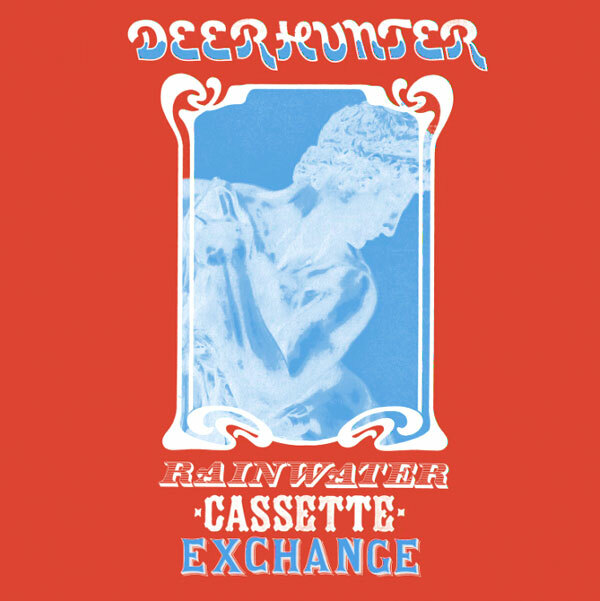 If Weird Era Continued wasn't enough, then Deerhunter's latest EP, Rainwater Cassette Exchange, is your own personal savior. Packed with the foursome's patented blend of classic rock hooks and driving motorik/shoegazer garage rock, the EP carries on the aesthetic and the amazingly strong songcraft Deerhunter hinted at with Cryptograms and concreted with their bonus EP Fluorescent Grey the same year. Amazing? Perhaps for a band far less creative and true-to-heart (and more than a few come to mind). Deerhunter's output has been frequent, as well as augmented by an unadulterated vision of where modern rock can go, and though that is obviously a feat to most, the band pushes forward with the same confident drive they apply to their soundscapes - annoyingly effortlessly. Rainwater Cassette Exchange is a logical progression off of 2009's Weird Era Continued, the supplemental full-length LP to the critically acclaimed Microcastle, featuring plenty of reverby overdrive, big motorik percussion, and even a creepy theremin accompaniment on "Famous Last Words". What more can be said of Deerhunter's incandescence? Oh yeah, pick up Rainwater Cassette Exchange on 12" vinyl or colored cassette! Celebrate your analog ancestors!